We’re delighted to announce that The Expanded Metal Company won the Manufacturer of the Year (under £25m) award in the Made in the North East Awards, which took place on October 18. 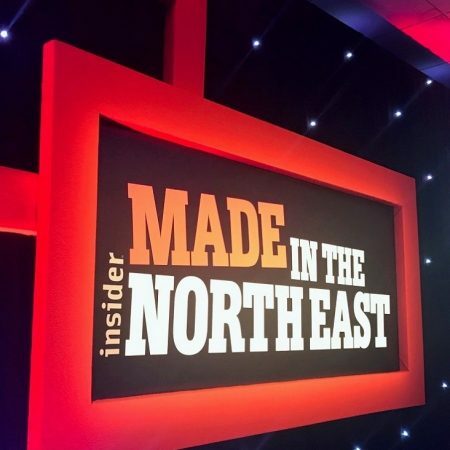 Hosted by Insider Media, and held at Redworth Hall Hotel, Newton Aycliffe the awards recognise and reward the excellence of the North East’s manufacturing sector and showcase the successful achievements of innovative and forward-thinking businesses across the region. The Manufacturer of the Year (under £25m) award category, sponsored by Northern Skills Group, recognises companies in North East England who make an outstanding contribution to the manufacturing sector and demonstrate excellence. Philip Astley, managing director at The Expanded Metal Company, said: “This is a fantastic achievement for our team and we’re very proud to have been recognised in such a prestigious awards event, which shines the spotlight on North East England’s manufacturing sector. “We have invested heavily in our workforce, product development, manufacturing capabilities and our site in Hartlepool, demonstrating our commitment to growth and to the area we have called home since 1894. The award acknowledges this commitment and the hard work that our staff have put in to ensure that we remain a world-leading expanded metal mesh manufacturer. The award comes as The Expanded Metal Company’s 25,000 sqm site is benefiting from major enhancements to its manufacturing capability and working environment, as part of an investment programme totalling up to £1 million over the course of 2018.